Welcome to the fourth Monday Blues blog hop! Our co-hosts this week are Niks Confessional and Makeup By Raych! 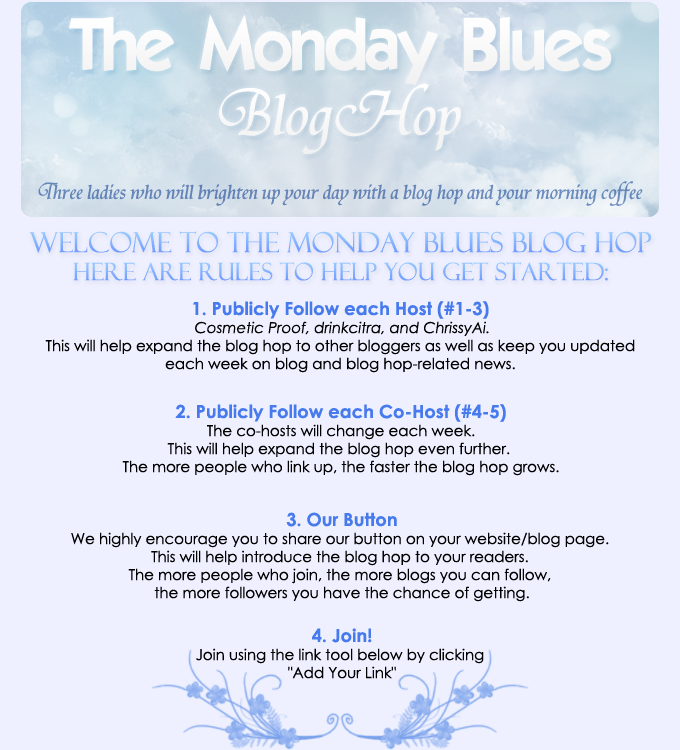 If you're interested in being a co-host, send us an e-mail at mondaybluesbloghop@gmail.com! Aww, thank you! Thanks for joining the blog hop!